Although some 50% of Germans can speak at least one foreign language, they very much favour the customer who can speak their own. At Cactus we know that communicating in your client’s language is integral to your business success, but we also understand that achieving that goal should be enjoyable as well as developmental. With flexibility at the core of our German business courses, whether you choose to learn intensively, weekly or by Skype, our bespoke programmes and results driven tutors will keep you motivated. 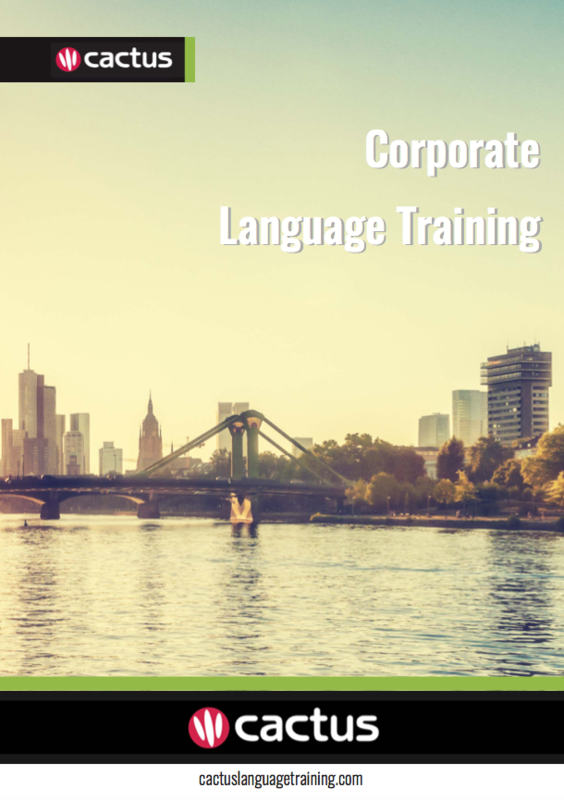 Our German language trainers, and their wealth of industry experience, aim to break any language barriers impeding your teams, in a comfortable and enjoyable environment. Our bespoke German training courses are tailored around you and your needs. Industy terminology, cultural etiquette, and pronunciation can be built and refined from the very first session. Cactus provides high quality German for business training to individuals and businesses in London, the UK, Germany, Europe, the USA and worldwide. We have an established network of professional, native speaker German trainers who are highly skilled in delivering business German courses for general and specific industry needs. We will work with you to deliver the very best German for business course for your needs, based on your lesson objectives, desired end goals, time available, learning style, level and budget.